Mixture of carbohydrates, taurine, guarana and arginine in a liquid form. Extra and immediate dose of energy to take during physical activity. What is Energy shot by BiotechUSA? Energy Shot by BiotechUSA is an energy drink in single-doses that supplies our body with a dose of energy, in a quick and simple way, before and during physical exercise. What are the properties of Energy Shot? Energy Shot is designed to provide a energy boost at the key moment of a physical effort. It provides only 48 kcal per serving, 11g of carbohydrates from a mixture of glucose, fructose, maltodextrin plus d-ribose. Its content in guarana and green tea helps to improve sports performance, reduce the feeling of tiredness and fatigue. Includes potassium and magnesium to maintain water balance and correct muscle function during the activity. Who can benefit from Energy shot? 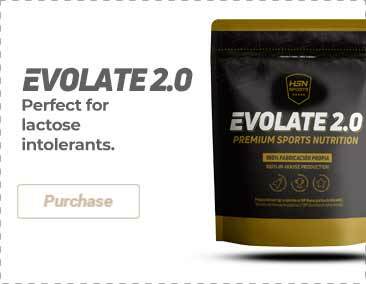 Ideal for sportspeople who carry out very intense workouts and need an energy boost immediately. It is especially interesting for endurance athletes during competitions or trials. Drink a blister, before or during intensive training (cycling, running, etc. ).